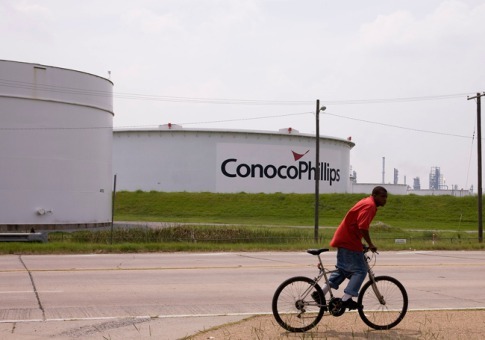 Venezuela’s opposition leader Juan Guaido plans to appeal a $8.75 billion award issued to ConocoPhillips by the World Bank’s arbitration tribunal last week, arguing the amount was overestimated. Jose Ignacio Hernandez, newly appointed as attorney general for Guaido’s growing parallel government, said there are "severe miscalculation errors" in the award, which resulted from the International Centre for Settlement of Investment Disputes’ decision to uphold Conoco’s claim that Venezuela unlawfully confiscated in 2007 its Hamaca and Petrozuata heavy crude oil projects in the Orinoco River basin. The appeal would another step in the efforts by Guaido, who’s been recognized by some fifty nations including the U.S. as the rightful president of Venezuela, to assert control over the country’s finances, cutting out President Nicolas Maduro’s regime. He’s named interim boards of state oil company Petroleos de Venezuela SA and its U.S. refining arm Citgo Petroleum as he seeks to wrest control of the nation’s oil industry, the source of most of Venezuela’s income.. Both sides have 120 days from the ruling date to appeal the decision, Hernandez said. “It’s too early for us to speculate on when we might recover from Venezuela,” Daren Beaudo, a spokesman for Conoco, said by email. “The company will pursue all legal avenues to obtain full recovery of the award.” The ICSID declined to comment. The award came as the U.S. tries to ratchet up pressure on the Maduro’s administration after sanctioning PDVSA and recognizing Guaido as the nation’s interim leader. Venezuela’s economy has been in turmoil due to plunging oil production, spiraling hyperinflation and teetering public services. Conoco was also awarded $2 billion last year by the International Chamber of Commerce over the seizure of assets. Following that decision, the company moved aggressively to take over PDVSA facilities in the Caribbean islands of Bonaire, Curacao, St. Eustatius and Aruba. Vessels carrying Venezuelan crude were ordered to pull away from Caribbean ports, creating a backlog of ships and hindering the nation’s oil exports. Former President Hugo Chavez ordered the seizure between 2007 and 2009 of about $30 billion of majority stakes in a number of energy projects, including four oil operations in the Orinoco River basin. The government said at the time the projects had a strategic role in the country’s development and sovereignty.